The idea to focus on Jewish travel-guiding services and genealogy emerged from years of studies of history of Polish Jews and the Holocaust. The sophistication of Polish-Jewish common past in Central Europe and history of the Holocaust is at present in the center of interest of Polish historians and society. The memory of 3,3 million Jewish population before the Second World War, which was to be erased by German Nazi and Russian Communist Regime is only now gradually coming back and is being incorporated into history of Poland. Jewish genealogy travels and interest in Poland as a country are very helpful in researching and reshaping historical memory and contemporary Polish-Jewish relations. For years Polish territory was linked with topic of Nazi Concentration and Extermination Camps only. Having the deepest respect and great knowledge about places connected with the Holocaust, we also try to tell the story of the rich world of Central European Jewry before the War. Although it was largely annihilated by the German Nazis, it partially survived in our historical memory of that time. Shtetls, synagogues, cemeteries, beit ha midrashes are dotting Polish landscape and bear the reminiscence of Rabbinical sages, individual families, rich religious and political life of Polish Jews. All of that is waiting here to be re-discovered, preserved and brought back to public interest and heritage. Majority of our tours and projects are supervised and led personally by Tomasz Cebulski. Nevertheless, sometimes guided tours through Cracow, its environs and Auschwitz-Birkenau are led by our highest quality cooperatives. All our guides are certified professionals who have rich international university background and share deep interest in Jewish history of Poland. I was born in Cracow but it was Oswiecim-Auschwitz which became the town of my childhood. Here my adventure started. In cooperation with International Youth Meeting Center I was participating in numerous educational projects in Dachau, Ravensbruck, Sachsenchausen and Berlin. In mid 1990's I was working as a volunteer cleaning the Jewish cemetery in Warsaw and this was my entry point into richness of Jewish Culture and history. Latter visit and work in one of the Israeli kibutzes Nir Oz only strengthened my interest and exposed to Yad Vashem methods of education and research. I graduated with my first MA in International Relations on Jagiellonian University with thesis "Polish - Israeli Relations after 1989". Then came my second MA on Jagiellonian University in the Department of Middle and Far East Studies with thesis "The role of the Holocaust Memory in shaping the Israeli identity". In October 2014 I have defended my Ph.D. thesis in the Department of Political Relations of the Jagiellonian University. The subject of my reserch was "Political and international aspects of the functioning of the State Museum Auschwitz-Birkenau in the years 1980-2010." I hold state guiding certificate for Auschwitz Birkenau Museum, state guiding certificate for Cracow and Galicia including the Second World War Museum at Schindler's Factory in Cracow. I am an experienced, licensed tour leader in Poland and Central Europe. Additionally I have a state certificate for tourist transport and driving services. In 2014 I have started my cooperation with the Museum of History of Polish Jews -POLIN in Warsaw. 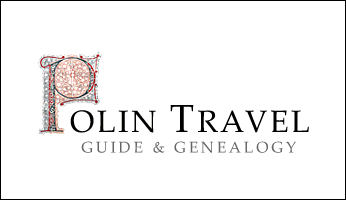 In late 1990's merging all my passions together I started Jewish guiding and genealogical firm POLIN TRAVEL. I always wanted to become a chemist to follow the family tradition. History as such seemed to have little value for a growing boy focused on the future. History was dull and limited to memorizing dates and facts. At the same time, history seemed to be omnipresent in the rapidly changing Poland. As always, things omnipresent are the easiest to be taken for granted and to be out of perception. History became a daily reality as, almost overnight, Russian as a second language was replaced in my school with English. Overnight the teacher retrained herself in Shakespeare without realizing how much Pushkin was still present in her teaching. Western products and chains replaced the misery and shortage-ridden economy of late Communism. Overnight I lost my pen pal from Russian Omsk, and even the “Dynasty” and “Miami Vice” series on TV were of little comfort. History was in the air bringing the wind of change, but we rarely focus on the air we breathe. Even my little town of Oświęcim felt the change with the establishment of the International Youth Meeting Center. It is a German institution that brings 20,000 to 30,000 German students a year to educate them about the place, which with this new wind of change was no longer called “Obóz w Oświęcimiu” but rather “KL Auschwitz.” The Center also promotes Polish-German dialogue and reconciliation. For me, the most fascinating aspect was the foreigners, real foreigners from the other side of the Iron Curtain. They were so different but at the same time so much like us with their universal teenagers’ anxiety. Soon I started to travel with the educational projects to Germany, and that was like travel to the moon. This was only the beginning of my fascination with travel and exploring otherness. Otherness had been part of Poland for centuries, but in the course of two totalitarian systems in the 1940s and ’50s was changed into an almost homogenous monoculture, a mere shadow of the rich diversity of the past. Teachers can change your life, and my new chemistry teacher had a unique talent for discouraging me from science within just a few classes. Around the same time I enrolled in a WWIIrelated summer volunteer project in London to practice my English, but by some coincidence the London option was canceled and a Warsaw project was offered as a replacement. Warsaw seemed an epicenter of the socialism from which I had tried to run. There we were, a bunch of teenagers with rakes, wheelbarrows, and machetes in the center of Poland’s capital in an overgrown jungle hiding some 200,000 cemetery stones. We were engaged in the cleaning project of one of the largest Jewish cemeteries in the world, 83 acres of jungle contributing to the veil of silence about the Jews in Poland. The project, seemingly overwhelming and impossible, enabled us to regain the land stone by stone, one human story after the other. The depth of history started to fascinate and lure me in, but even more fascinating was the silence and confusion caused by any questions about who those people were, why Korczak "the Pole" was there, what happened to all those people, and why no one seemed to remember. The gate of Okopowa Jewish cemetery in Warsaw to this day marks for me the entrance into some other civilization, the civilization of Warsaw Jews, which in the 1920s and ’30s was probably the most culturally, politically, and spiritually developed Jewish civilization in the world. I also later had a 3-month experience of Communist life in the Negev desert. Yes, I was a kibbutznik, experiencing the dawn of the communal system, which seemed to have been lost with the capitalistic urge for individualism. Travel became a part of my life, an educational addiction that took me through London, the South African township of Ermelo, and Stockholm, among many other places. In between, I kept returning to Kraków to study International Relations, later followed by Middle Eastern Studies. My university studies would not have been complete without hundreds of genealogy research projects that became my new passion. Genealogy research became my way of breaking the veil of silence about Polish Jews. This veil seemed to be paralyzing for both Jewish families interested in uncovering their family history as well as for local Poles who often were the only repositories of memories about the Jewish part of their town or village. Although archival records were always very helpful and emotional to work with, meeting a person who was the family neighbor and had witnessed both personal and community history always took me to a completely different level, a level of "touching history". Over the years the Holocaust and KL Auschwitz became my points of expertise. After receiving many guiding and teaching certificates, I decided to reenter Jagiellonian University in Kraków to pursue my PhD research focusing on the contemporary shape of Auschwitz memory and its meaning to humanity. The persistent urge to explore just the tip of the iceberg called the civilization of Polish Jews has never abandoned me. The new POLIN Museum of History of Polish Jews is successfully trying to fill in the void of this lost civilization by presenting the milestones of its history. Another persistent thought that is now becoming my new scholarly interest is humanity’s inability to prevent genocides. As good as we are in commemorating, mourning, and educating about the history of genocides, with the Holocaust remaining the ultimate example, humanity has not yet learned the hardest lesson about its prevention. We shall not be surprised again.